Welcome to episode 55 of my Culture Leadership Charge video series! What do leaders reward in your workplace? 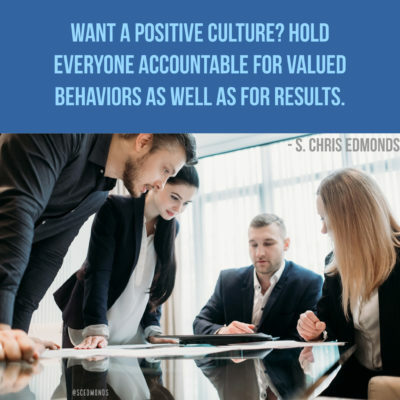 If leaders want a purposeful, positive, productive work culture, they must measure, monitor, and reward all three of those – productivity AND a positive environment for all AND plans, decisions, and actions aligning with the company’s servant purpose. The common question I get is “how can leaders measure a positive environment?” Regular engagement surveys are a very effective way to keep in tune with whether or not team members feel valued and validated for their ideas, efforts, and accomplishments daily. AND you have to get more specific to get to the root of a positive work culture. You have to define your desired values in observable, tangible, measurable terms – then you have to measure them regularly. Here’s an example. A culture client just completed their first ever values survey. The questions on the survey were taken directly from their newly-defined values and behaviors. 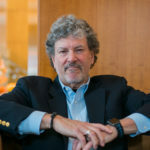 Every person with formal leadership responsibility was measured by their direct reports – their team members, who are the people who know them best. Photo © Adobe Stock – golubovy. All rights reserved. What do your leaders pay attention to? What do they reward? Are great corporate citizens rewarded in the same way as high performers? Share your insights on Twitter, Facebook, and LinkedIn.